Size - 6.5 x 4.5 in. 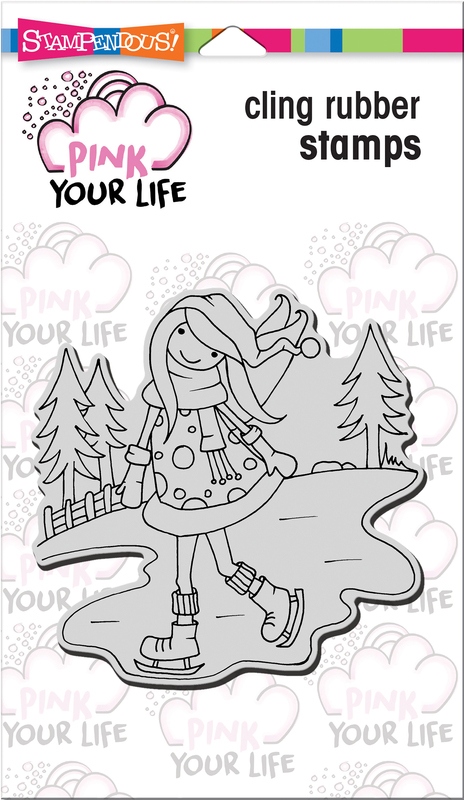 Whisper Friends - Ice Skater - Stampendous Pink Your Life Cling Stamp 6.5"X4.5"
Stampendous-Pink Your Life Cling Stamp. Premium quality precision trimmed rubber stamps that give you a beautiful image every time! Use with any acrylic block (sold separately). Simply remove the disposable acetate layer revealing the vinyl cling with printed image, press onto a block, align and stamp! Use any ink that can be used with traditional wood-mounted stamps and clean with wood-mounted stamp cleaner. This package contains Ice Skater: one cling rubber stamp on one 4.375x6.25 inch backing sheet. Made in USA. This original design is copyright Nicoletta Zanella and Pink Your Life. It is deeply etched and precision cut from premium gray rubber on a 1/8 gray rubber foam backing then mounted on your choice of premium American hardwood handle with decal image on top OR on a cling vinyl decal with full sized image for easier storage and use with an acrylic handle. Made in USA. 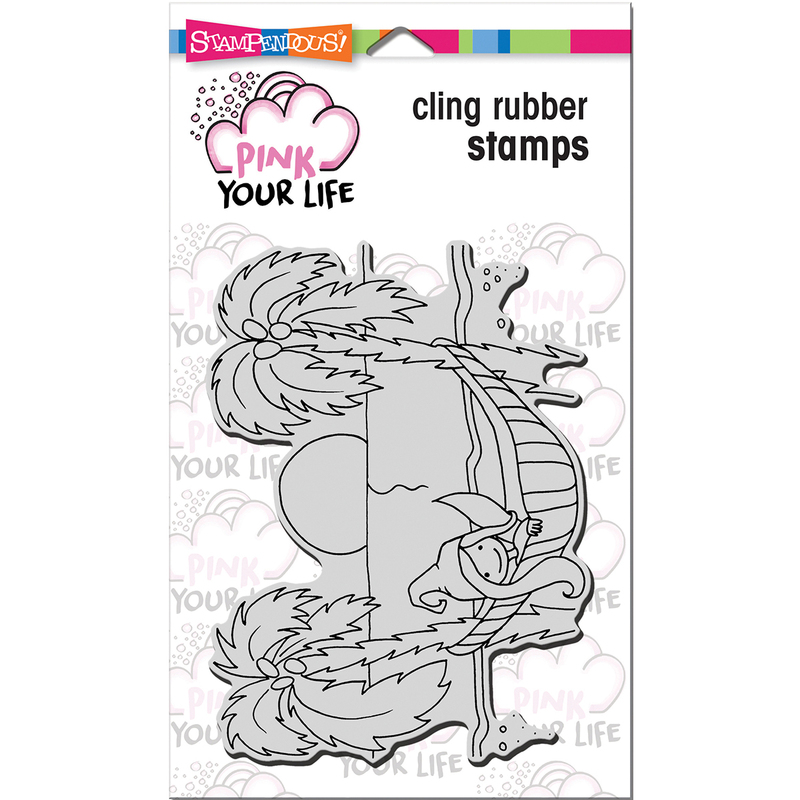 Whisper Friends - Hammock - Stampendous Pink Your Life Cling Stamp 7.75"X4.5"
Stampendous-Pink Your Life Cling Stamp. Premium quality precision trimmed rubber stamps that give you a beautiful image every time! Use with any acrylic block (sold separately). Simply remove the disposable acetate layer revealing the vinyl cling with printed image, press onto a block, align and stamp! Use any ink that can be used with traditional wood-mounted stamps and clean with wood- mounted stamp cleaner. 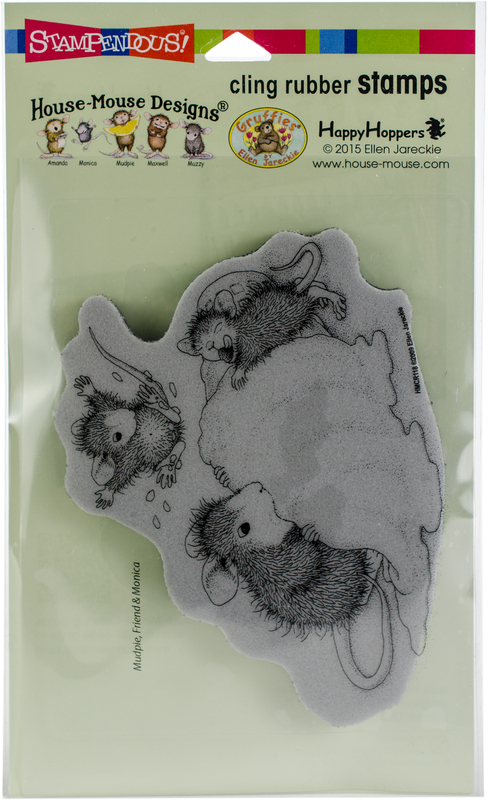 This package contains Whispers Friends Hammock: one 4-1/2x5 inch cling rubber stamp. Made in USA. 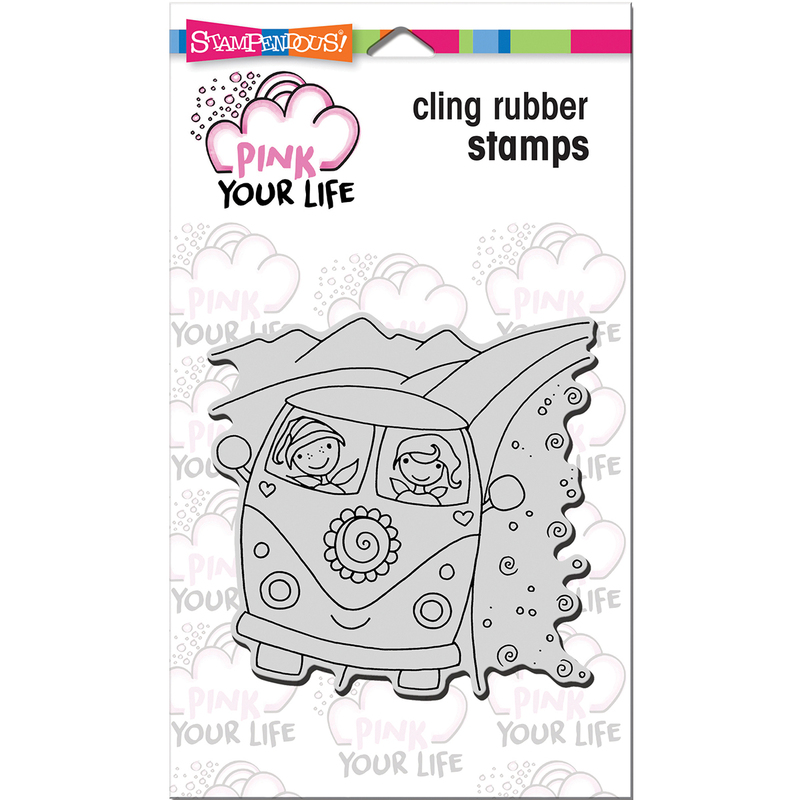 Whisper Friends - Van - Stampendous Pink Your Life Cling Stamp 6.5"X4.5"
Stampendous-Pink Your Life Cling Stamp. Premium quality precision trimmed rubber stamps that give you a beautiful image every time! Use with any acrylic block (sold separately). Simply remove the disposable acetate layer revealing the vinyl cling with printed image, press onto a block, align and stamp! Use any ink that can be used with traditional wood-mounted stamps and clean with wood- mounted stamp cleaner. This package contains Whispers Friends Van: one 3-1/2x3-1/2 inch cling rubber stamp. Made in USA. Size - 9 x 5.25 in. Whisper Friends - Beach Day - Stampendous Pink Your Life Perfectly Clear Stamps 7.25"X4.6"
Stampendous-Pink Your Life Perfectly Clear Stamps. 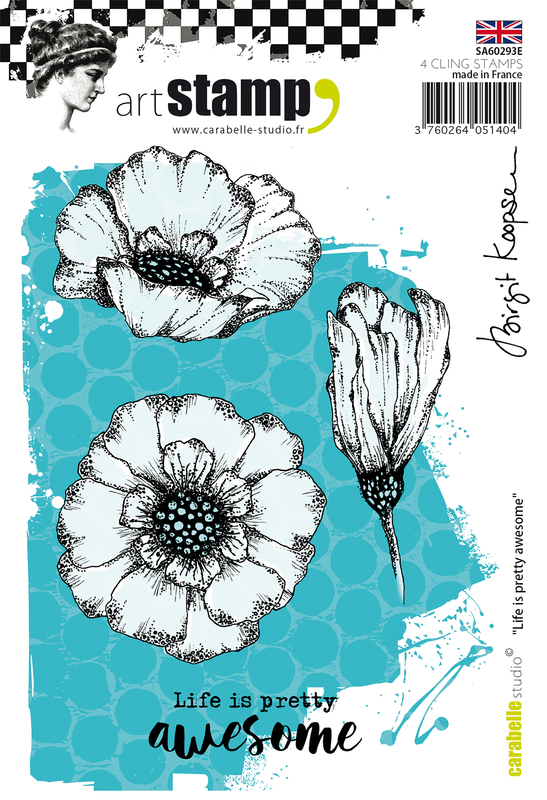 Fun clear stamps for all your card making, scrapbooking and paper crafting projects. Adhere to any acrylic block for easy positioning on your page. Stamp sets are available in a variety of designs and themes to match all your stamping needs (each sold separately). This package contains Whisper Friends- Beach Day: a set of fourteen stamps on one 5-3/4x4 inch backing sheet. Made in USA. 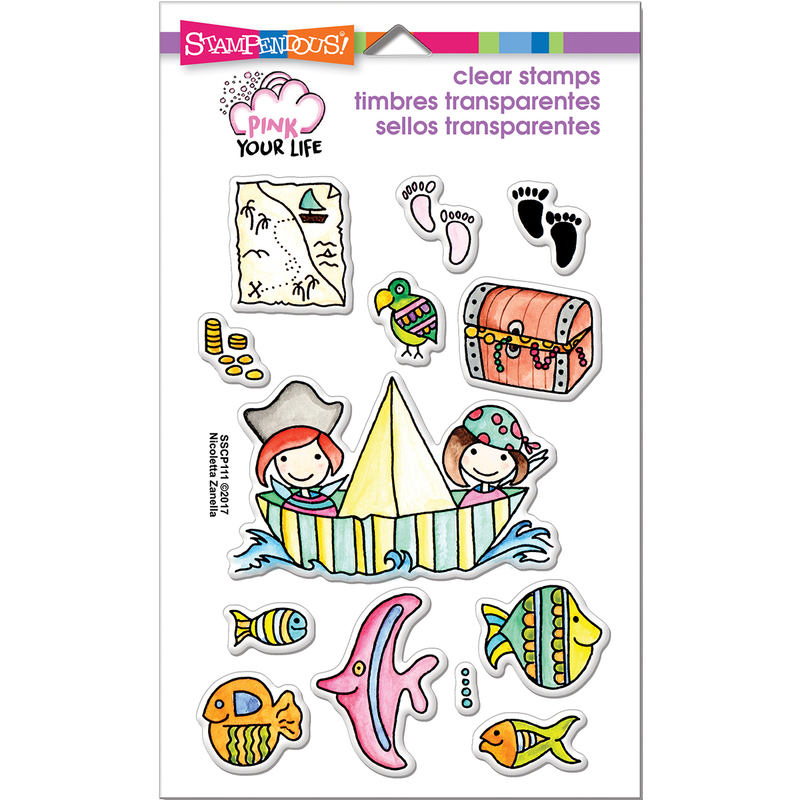 Whisper Friends - Pirates - Stampendous Pink Your Life Perfectly Clear Stamps 7.25"X4.6"
Stampendous-Pink Your Life Perfectly Clear Stamps. Fun clear stamps for all your card making, scrapbooking and paper crafting projects. Adhere to any acrylic block for easy positioning on your page. Stamp sets are available in a variety of designs and themes to match all your stamping needs (each sold separately). This package contains Whisper Friends- Pirates: a set of thirteen stamps on one 5-3/4x4 inch backing sheet. Made in USA. 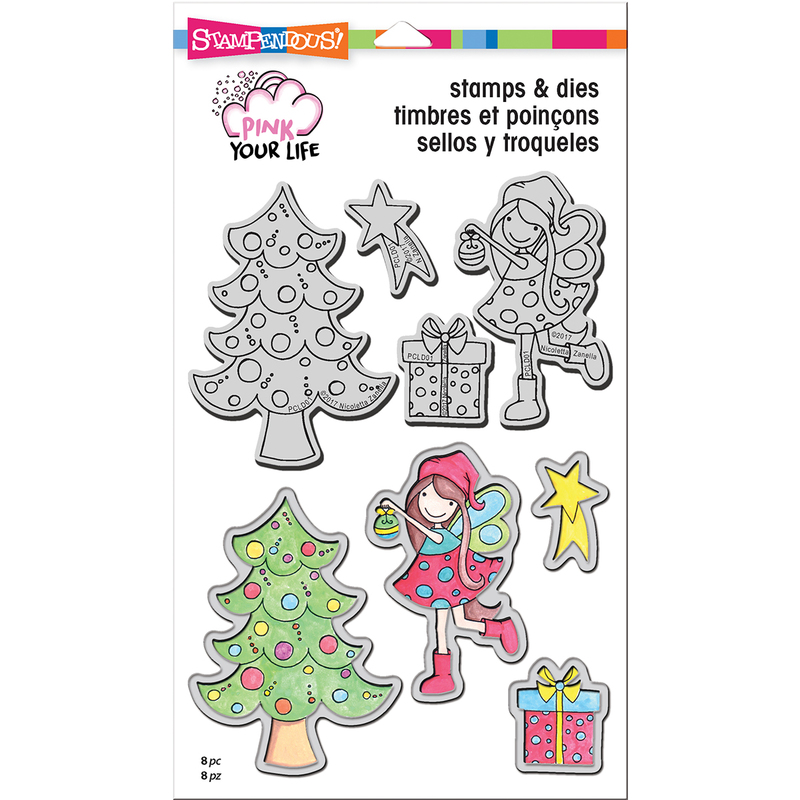 Whisper Friends-Decorate - Stampendous Pink Your Life Stamp & Die Set 9"X5.25"
Stampendous-Pink Your Life Cling Rubber Stamps & Dies. Fun cling stamps for all your card making, scrapbooking and paper crafting projects. Adhere to any acrylic block for easy positioning on your page. This 5.25x9 inch package contains Whisper Friends Decorate: a set of four rubber stamps and four dies measuring between 1.125x1.25 and 2.375x3.25. WARNING: Choking Hazard, small parts. Imported. Adorable designs and high-quality rubber make these stamps must-haves for any stamper! This package contains Ice Cream & Lemonade: a set of twelve unmounted rubber stamps on one 3.75x5 inch backing sheet. Imported. 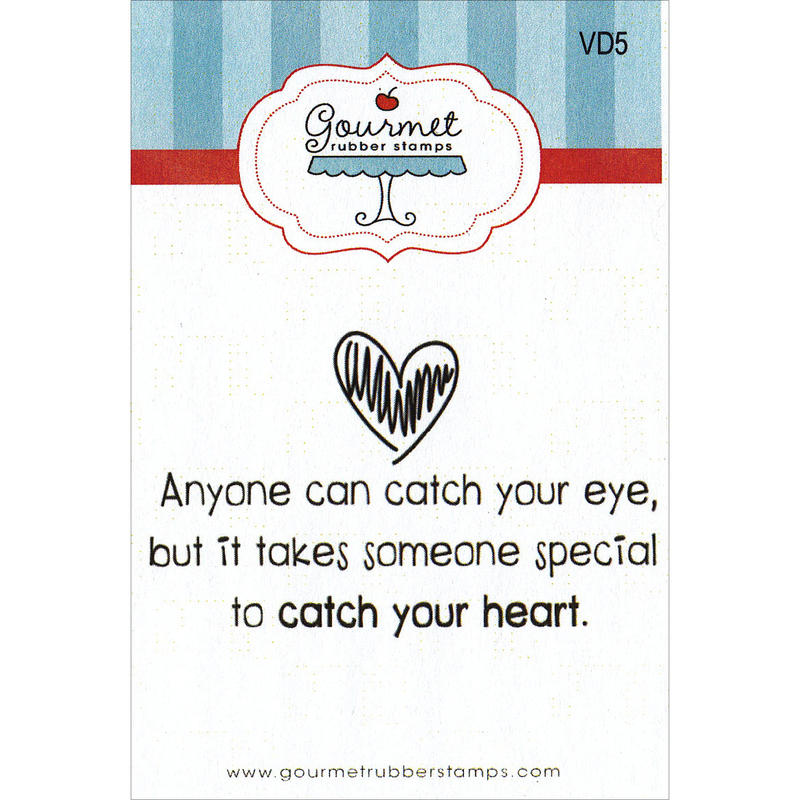 Gourmet Rubber Stamps-Cling Stamps. The makers of high-quality rubber stamps and products for the craft industry. This delicious line of product is sure to inspire creativity in all who use them! High-quality stamps with deeply-etched rubber backed on 1/8 inch thick cling mounting cushion. 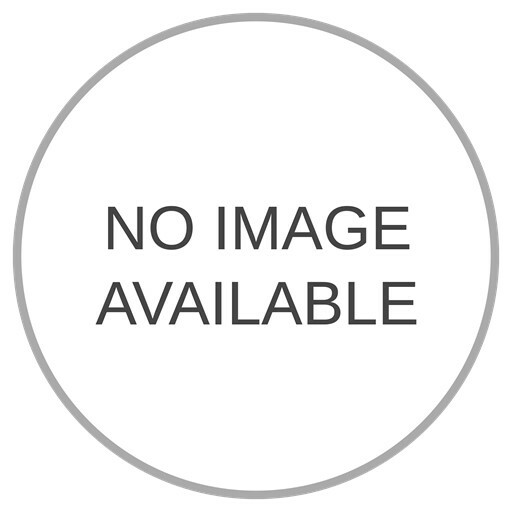 This package contains Anyone Can Catch Your Eye: one 1-1/2x2-3/4 inch cling rubber stamp. Made in USA. Gourmet Rubber Stamps-Cling Stamps. The makers of high-quality rubber stamps and products for the craft industry. This delicious line of product is sure to inspire creativity in all who use them! High-quality stamps with deeply-etched rubber backed on 1/8 inch thick cling mounting cushion. This package contains I Love My Life And The Ones In It: one 1-1/2x1-1/2 inch cling rubber stamp. Made in USA. 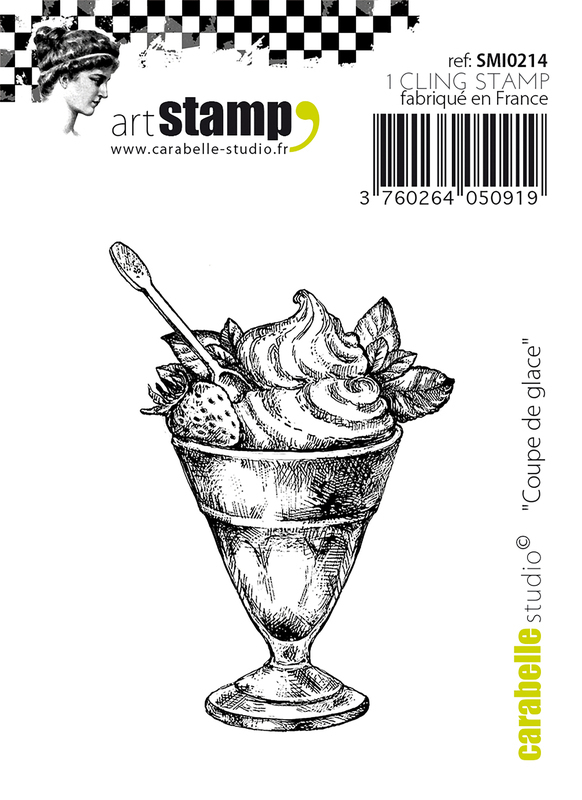 Mini Ice Cream Sundae - Carabelle Studio Cling Stamp Small 2.56"X1.18"
This stamp is perfect for scrapbooking and other craft projects! Use with any acrylic block (sold separately). This package contains Mini Ice Cream Sundae: one 1.75x2.5 inch cling stamp. Imported. 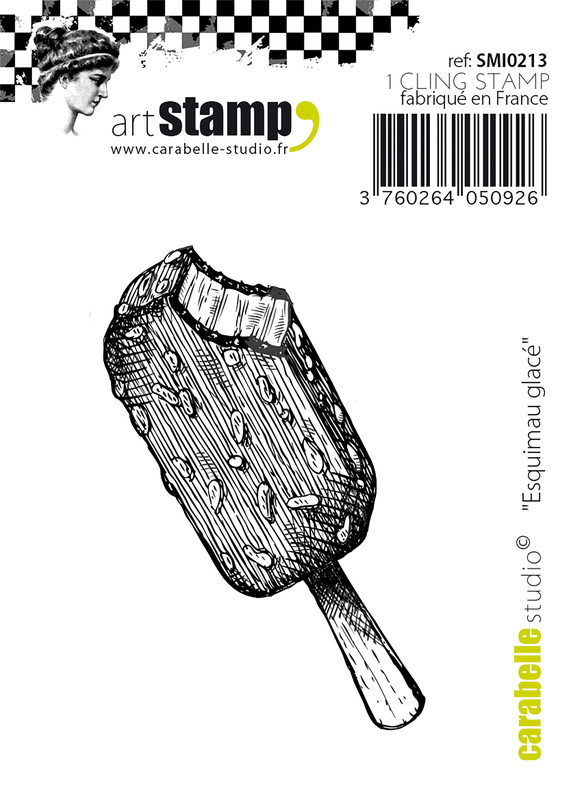 Ice Cream Treat - Carabelle Studio Cling Stamp Small 2.56"X1.18"
This stamp is perfect for scrapbooking and other craft projects! Use with any acrylic block (sold separately). This package contains Ice Cream Treat: one 1.25x2.5 inch cling stamp. Imported. Add crisp artwork to all of your paper crafting and artistic projects with these repositionable stamps! 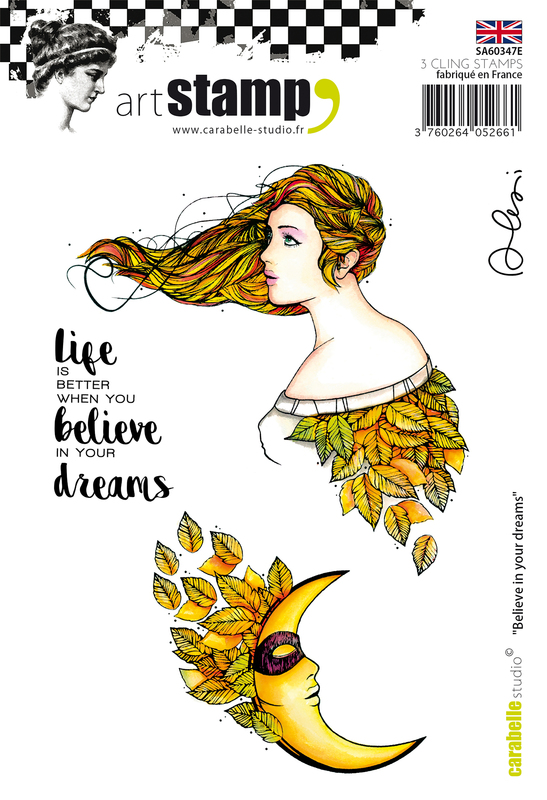 This package contains Believe in your dreams: three cling rubber stamps between 1.25x1.5 inches and 3.25x3.75 inches. Imported. STAMPENDOUS-Cling Rubber Stamps. These are the same premium quality precision trimmed rubber stamps as the Stampendous wood-mounted version. A piece of cling vinyl has replaced the wood on the adhesive side of the foam allowing the image to be used with any acrylic block (sold separately). Simply remove the disposable acetate layer revealing the vinyl cling with printed image, press onto a block, align and stamp! Use any ink that can be used with traditional wood-mounted stamps and clean with wood-mounted stamp cleaner. This package contains Ice Cream Crazy: One stamp on a 4.25x6.25 inch backing sheet. WARNING: Choking Hazard. Not suitable for children under 3 years. Made in USA. This stamp is perfect for scrapbooking and other craft projects! Use with any acrylic block (sold separately). This package contains Life Is Pretty Awesome: four cling stamps on one 4.5x6.75 inch sheet. Imported. Stamping Bella-Cling Stamp. Adorable designs and high-quality rubber make these stamps must-haves for any stamper! This package contains Edna Needs A Martini a set of two unmounted rubber stamps on one 5 x 3-0.75 inch backing sheet. Size: 6.5 x 4.5 in.